The highlight of the trip to Sapporo was eating Ghengis Khan feast at the Sapporo beer brewery. 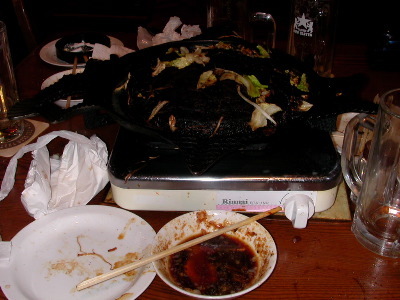 We ate a pile of meat, which we cooked ourselves. They also had dark, or "black" as the Japanese like to say, on tap. That is a rarity, the Japanese like lighter lagers or ales.